File this post under 4 Random Things You Might Not Know About But You Definitely Should. 1. Glutamine. I read about this supplement in InStyle magazine so I bought it at Sprouts. Apparently it’s supposed to to help you kick sugar cravings when you take it consistently for two weeks. I’ve been taking it for about a week and I definitely feel like I’m turning the corner back to slimtown after my long stay in holiday chubbyville. I have also been drinking this Women’s Weightless tea I found at Target and it’s a nice break from coffee for winter afternoons. 2. 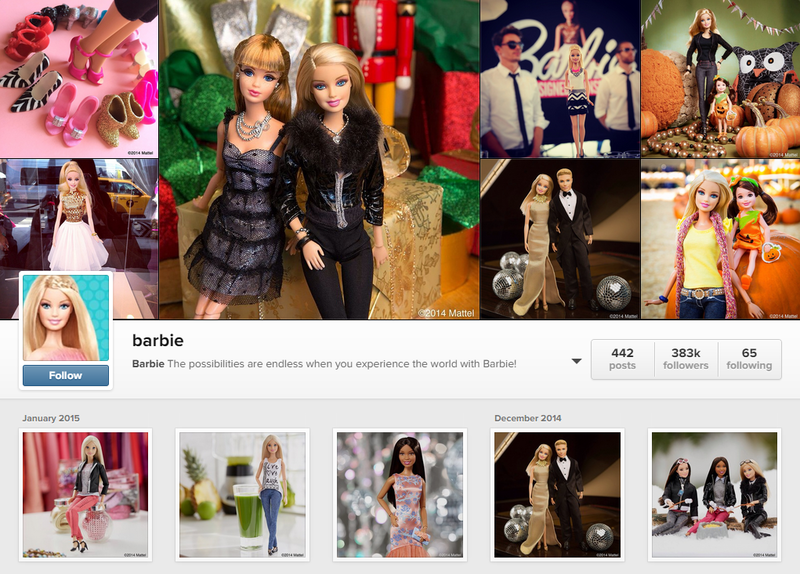 Did you guys know you can follow Barbie on Instagram? It’s completely over the top and ridiculous and I love it. Clearly someone spends a lot of time arranging tiny photo shoots for dolls. How can I get this job? 3. Is Everyone Hanging Out Without Me by Mindy Kaling. Okay I know this book came out years ago but I just got around to reading it. I didn’t want it to end. If you looked at my search history lately you would probably be able to build some sort of a case for a Mindy Kaling Stalker charge. I love her as much as I love Olivia Pope except Mindy is a real person so I’m not sure if that makes my obsession better or worse. 4. This song by The Weeknd. Oh my God. Coincidentally, perfect for the weekend.